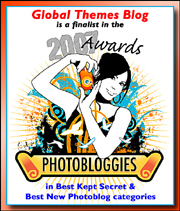 Global Themes: A dish of pure yumjoy! A dish of pure yumjoy! There is no Eid without the sweet dish vermicelli or seviya eaten in the Indian Subcontinent, and by those of us who share in that heritage. My swedish mom makes a killer seviya! Yumjoy!